These HEPA-filtered cage changing and animal transfer enclosures protect the user and small animals from airborne particulates. The PuriCare Vertical Flow Station provides an economical solution to safe cage changing and small animal transfer for vivariums with space and budget limitations. Its slim design fits easily in crowded colony rooms. 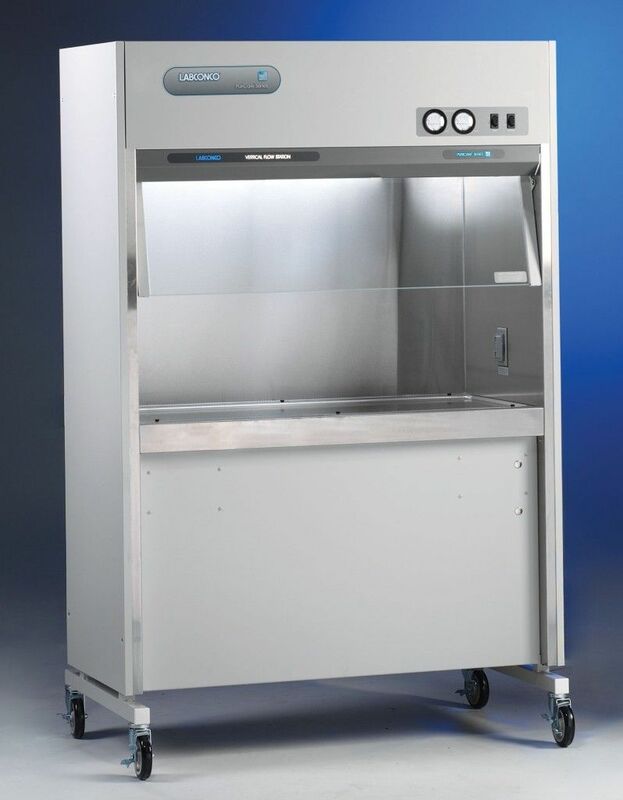 Unlike traditional horizontal clean benches that offer no operator protection and blow air directly at the user, the PuriCare Vertical Flow Station protects both the worker from exposure to allergens and the animals form cross-contamination, while providing a more comfortable work environment. HEPA-filtered air circulates through the enclosure in a single pass, avoiding heat build up common with recirculating-type enclosures. The PuriCare Vertical Flow Station provides personnel, animal and environmental protection. HEPA-filtered vertical laminar airflow provides ISO Class 5 (formerly Class 100) clean air in the work area to protect the animals from cross-contamination. At the same time, room air is drawn into the grille located on the air foil to ensure containment and protect the operator from allergens. All contaminated air is filtered so that particulate-free air is exhausted back into the room, protecting the environment. Narrow profile to fit in crowded rooms and pass easily through doorways and down aisles. Telescoping legs permit initial working height adjustment from 37.5” to 44.5” to accommodate persons of various heights. Large 14" high sash opening accommodates various rodent cage sizes.